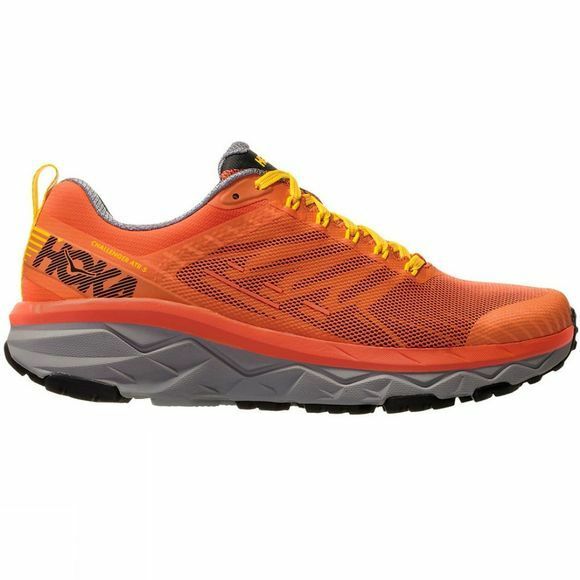 The Challenger ATR 5 is a fast and lightweight neutral running shoe, offering the signature Hoka One One cushioned landing. The CMEVA foam midsole provides stable footing and absorbs impact points to help with grip on the trail conditions. An early stage Meta-Rocker that is ideal for a smooth ride, the Challenger ATR 5 features a dual-layer mesh that balances support, durability and breathability. 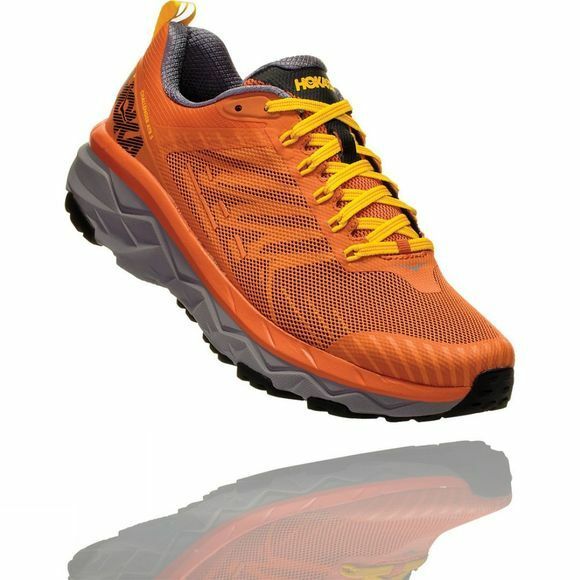 Within the outsole, the 4mm lugs provide all-terrain traction across several trail challenges. The podular outsole design also provides stability on uneven terrain.